Recharge your batteries with this super siesta. How would you like to quickly recharge your batteries, just by listening to an audio MP3? Want to be able to instantly revive your body and mind, with a relaxing mini-siesta? It’s all possible, when you listen to our Power Nap Shot. Your brainwaves form a special pattern when your brain is engaged in a rejuvenating sleep. This pattern briefly occurs when you take a short power nap, which helps you recharge your batteries. The Power Nap Shot uses special ‘brainwave sounds’ to replicate this mini-sleep pattern inside an audio recording. As you listen, these brainwave sounds stimulate your brain's ability to quickly enter deep, restorative sleep, helping you shut out the world, doze off briefly, and replenish your energy levels. The result? 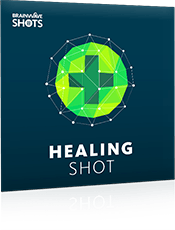 After listening to this shot, you’ll awake recharged, with renewed vigor and enthusiasm. You'll feel re-energized, able to continue your day with maximum effectiveness. 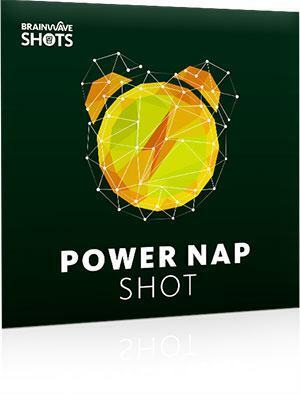 Our Power Nap Shot will help you enjoy a brief, deep nap, to revitalize your body and mind. 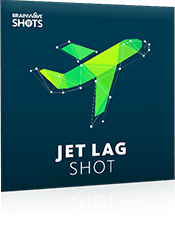 The Power Nap Shot audio lasts just 15 minutes. As soon as you've listened, you'll enjoy all the benefits that come with a deep mini-siesta. The sleep lasts for the length of the audio, but the refreshing after-effects will last anywhere from 4 hours through to the rest of the day. Your album also includes an extended 30-minute version of the Power Nap Shot, which will further enhance the results you get. You’ll also receive 15- and 30-minute brainwave-only audios, so you can listen without our ambient background sounds, or mix with your own music. 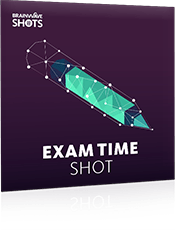 The Power Nap Shot is completely safe* to use. It simply activates your brain's natural frequencies, on demand. Full 30-minute protocol: The session starts at 12 Hertz beta, moving down quickly to 10 Hz, then down to 7.83 Hz and into low delta 1.05 Hz at the halfway mark, before moving up to finish off at 16 Hz beta. The regular audio mix also contains relaxing music mixed with brown noise. The 15-minute versions contain a compressed version of this protocol. Get ready to enjoy a reinvigorating rest! 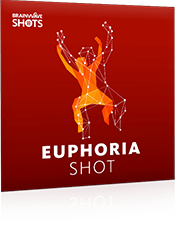 Discover the Power Nap Shot today to enjoy a refreshing siesta, on demand. I've become a huge fan of Brainwave Shots! Each one unlocks a different state of mind. You can listen in just 15 minutes and feel like a totally different person. I love this, and I've shared it with my tribe.